Steve formed the solid as shown below. It was made up of 3-inch cubes . What is the volume of the solid? 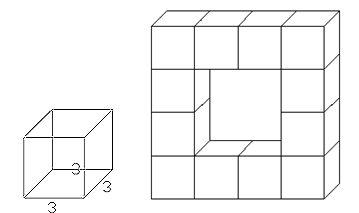 The volume of the solid is cubic inches.